Let's go to Woodland & discover! 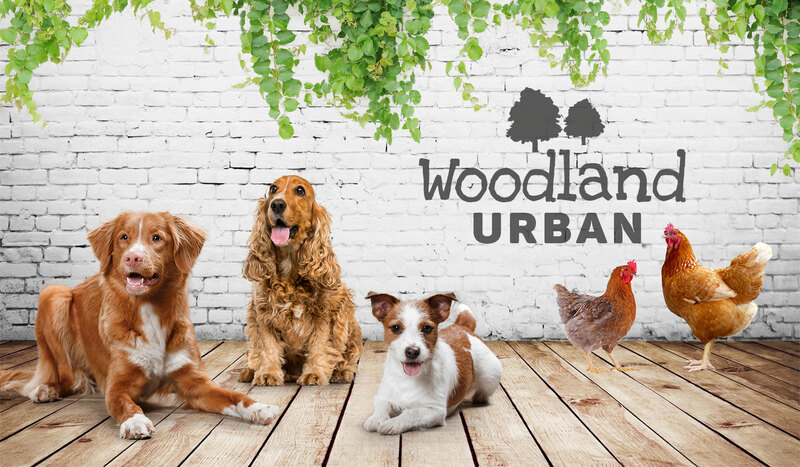 The Woodland range from Duvo+ includes a wide range of wooden dwellings for dogs, rabbits, chickens, birds and turtle doves. Quality and contemporary models in various styles and colors that meet the needs of every animal. Something for everyone! Discover the favorite shelter for your pet below! Dogs love the outdoors. But sometimes they just want to take shelter or a nap. That is why you should offer your dog a safe, sheltered and cozy place in the garden or on the terrace. The Boris and Balto dog kennels from Woodland are available in different sizes. 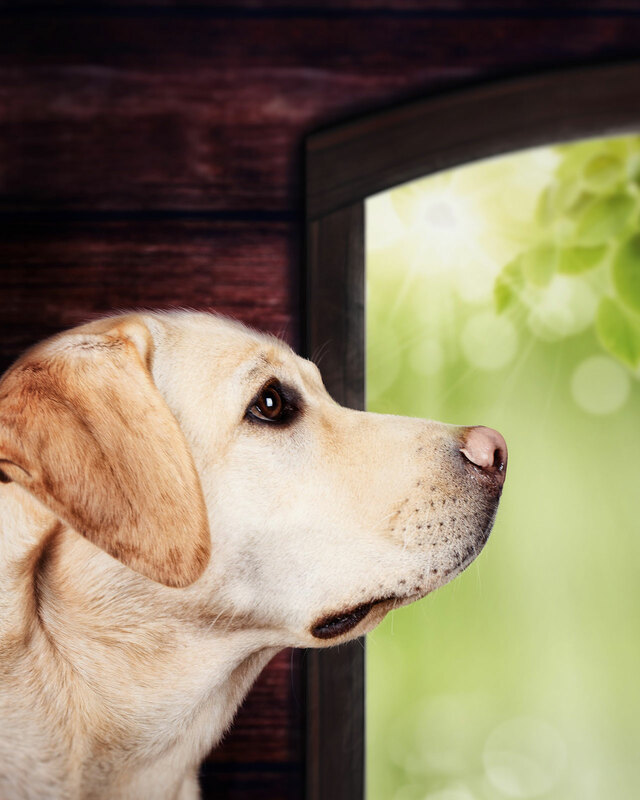 Thanks to a windshield, a no-bite frame around the opening and a fast water drain on the roofing, they offer the necessary comfort for your four-legged friend. 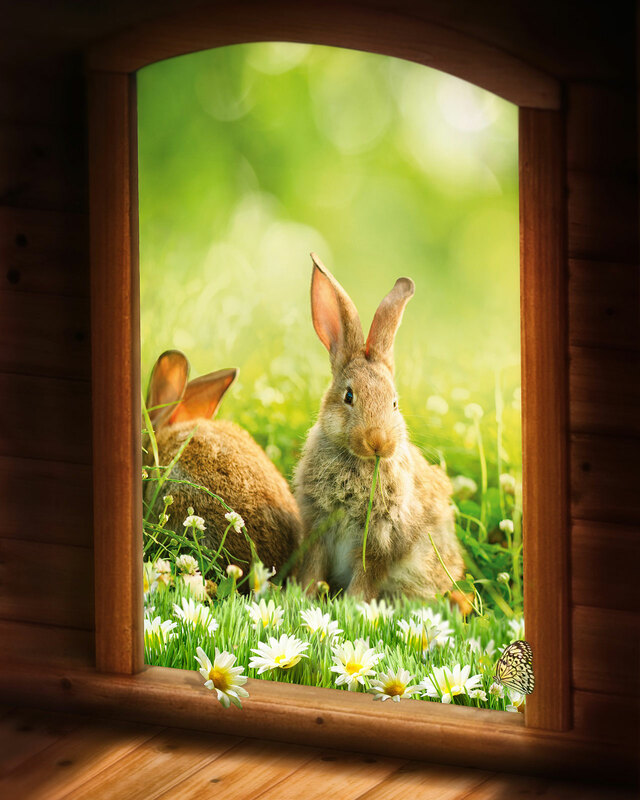 A wooden Woodland outdoor rabbit hutch is a perfect choice. It protects your rabbit against sunlight and provides the necessary insulation from the elements. Woodland hutches are available in different sizes and models. They offer enough space so your rabbit enjoys his home in total comfort. Each house is equipped with a closed section that serves as a safe hole to have a rest so they can hop around again in the open area afterwards. Moreover, convenient to use thanks to the many openings on the sides and access via the roof. During the day your chickens prefer to walk outside. But when it gets dark, they like to have shelter in a quiet and safe indoor space. 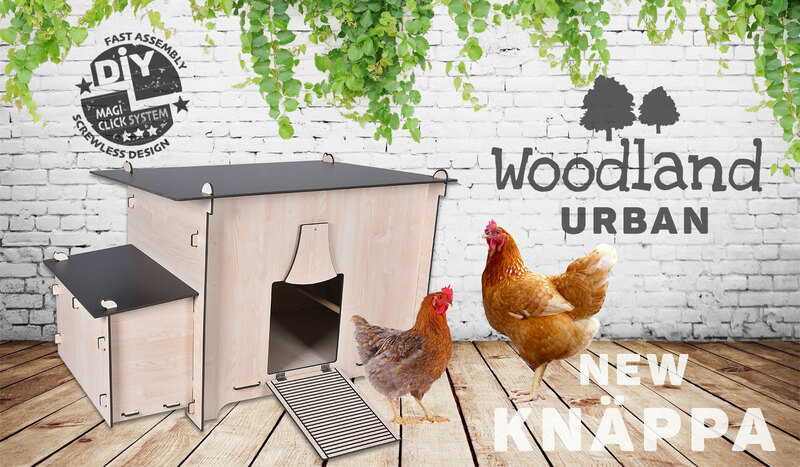 Your chickens immediately feel at home in a wooden Woodland coop. 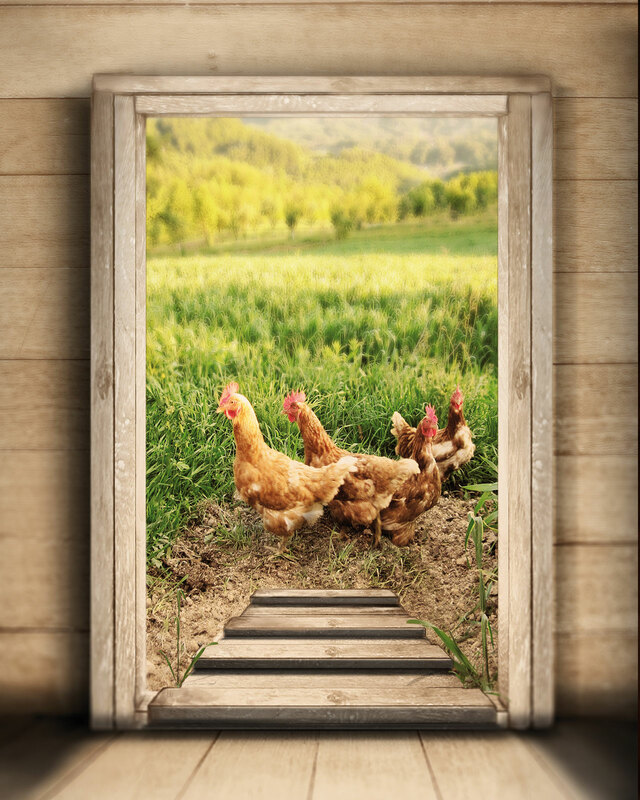 Woodland chicken coops come in all shapes and sizes and meet the needs of every chicken. The spacious wind- and moisture-free coops with or without outside run area are provided with sufficient perches and laying nests. A sturdy wire fence makes escaping impossible and keeps out predators. An outdoor aviary must provide sufficient flight space for several birds. 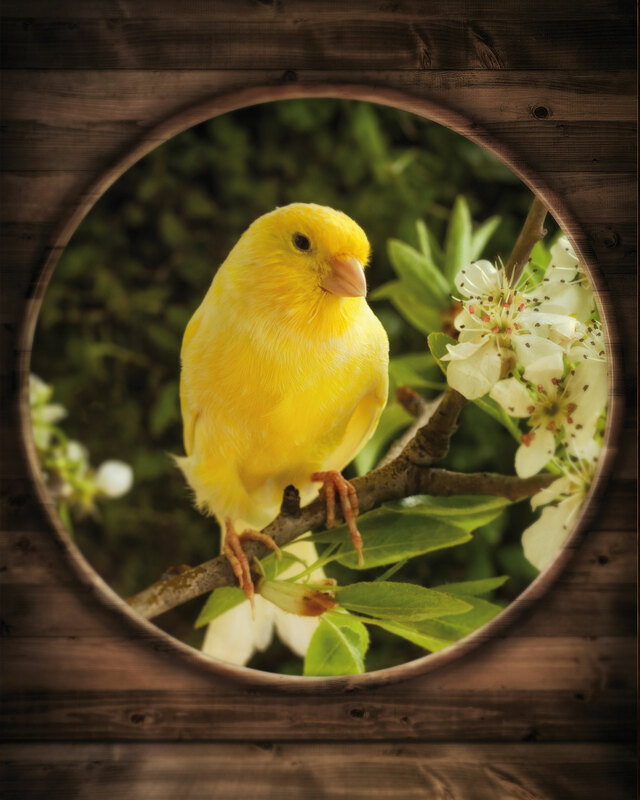 In the Woodland range of Duvo+ you will find well-equipped accommodation for 2 to 10 birds. Both smaller hanging models and larger upright aviaries with optimised wires, sufficient perches and a handy removable bottom slide for quick cleaning. 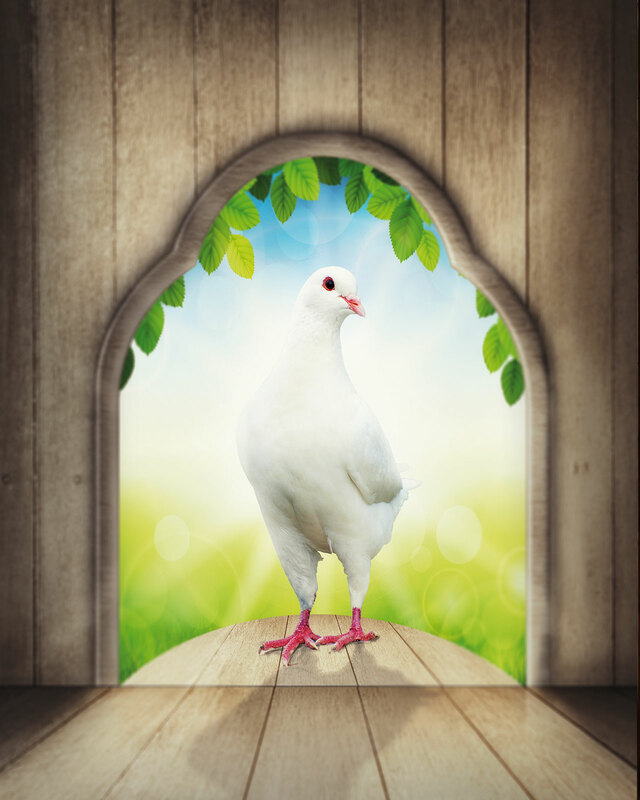 Attract turtle doves and other pigeons to the Woodland Mona dovecote. This dovecote on a stand can lodge up to 4 pigeons and has 2 openings, each with a landing platform. Let's bring Woodland to the city! that fits your taste in the new Woodland Urban range from Duvo+. Stylish lofts with a contemporary character tailored to a smaller garden or a hip terrace. It is not an urban legend! We recommend that you apply wood stain before use and re-apply regularly to keep the shelter in good condition for a long time. This prevents the wood from absorbing moisture. Ideally you should stain the hutch before assembly so that all the parts are well protected. Outdoor shelters can get very hot during the summer months. Ideally the hutch should not be placed in the sun. During the colder months, we recommend that the hutch should be protected as much as possible from wind and rain to prevent damp problems. Use a highly absorbent floor covering to keep the hutch free from moisture. Clean the shelter regularly (follow recommendations depending on how many of what type of animal you are keeping) using water and safe cleaning products. Allow the hutch to dry thoroughly before you put fresh floor covering in place.